Are you thinking about selling a home? This home seller checklist itemizes some essential steps to help owners with the selling process. Hire a Professional: The selling process can be challenging and time consuming. It has lots of potential pitfalls and sometimes frustrates home sellers. National Brokers team could make it a smooth and profitable transaction. 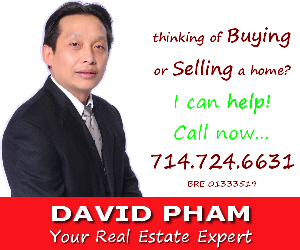 Determine Selling Price: consult with one of National Brokers professionals. Start Packing: It is not too early to start packing. The more stuffs that you can box early, the lesser pressures you have at closing/moving time. Removing clustering objects also make the house looks clean and more presentable. Garage Sale: It is one of the best ways to get rid of un-needed stuffs. Knowing Your Home Conditions: Sellers are obligated to disclosure any material facts that may affect the subject property. Even though disclosure requirements may vary, improper disclosures may lead to potential law suits. So, do inspect your house to find out what are working and what are not. Improvements: Certain improvements can significantly increase value while some other works barely cover their costs. Discuss those ideas with your real estate agents. Home Staging: Better staging homes often bring better first impressions to potential buyers. Selecting a Buyer: There are many factors involved in an offer. Highest offering price may not translate into highest net proceeds to home sellers. Consult with your real estate agent to decide the strongest offer with greatest possibility of closing. Paperwork & Disclosures: The amount of paperwork and disclosures may vary from region to region and by the nature of the transaction. Your real estate professional should be knowledgeable and assisting you on those. For additional seller resources, click here! Have a specific question? Let’s Help!